Wow. I can't believe it's been half a year already. This week marks six months exactly that I started my new career at ESPN. As many of you know, my big move from San Francisco to Connecticut this spring was preceded by what I can only describe as the most epic goodbye tour ever. Knowing how much I would miss SF and my beloved West Coast lifestyle, I decided to properly say goodbye in the only way I knew how... through food, friends, drinks and debauchery. 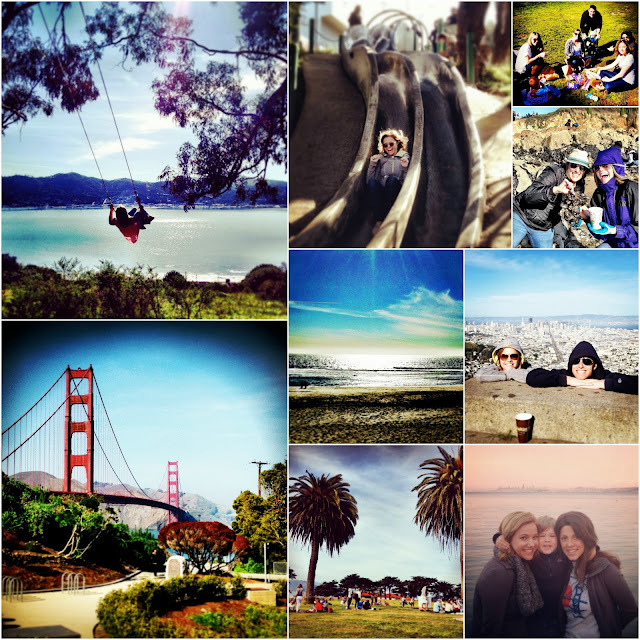 Being the active social media participant that I am, I documented the entire thing on Instagram, using the hashtag #SireSF. It was a fun way to keep track of my “funemployment” tour, and a good way to get my friends involved as well. What ensued was not only a memorable and thorough farewell to the city I fell in love with, but also a once-in-a-lifetime chance to take a 7-week hiatus from the working world and spend quality time with my amazing friends. Yes, my waistline and my wallet took a bit of a hit, but I wouldn’t trade one second of it for anything. The evening before my final day of work at Comcast SportsNet, my friend Adam was eager to get #SireSF off and rolling. His favorite restaurant in San Francisco is Suppenkuche, a German establishment with authentic Bavarian fare and Das Boot. Usually, trips to the Supppenkuche are a raucous affair, with a large group and lots of beer. This instance was a little more tame… just me, Adam, and Eric Simms, another one of my favorite co-workers from my CSN days. 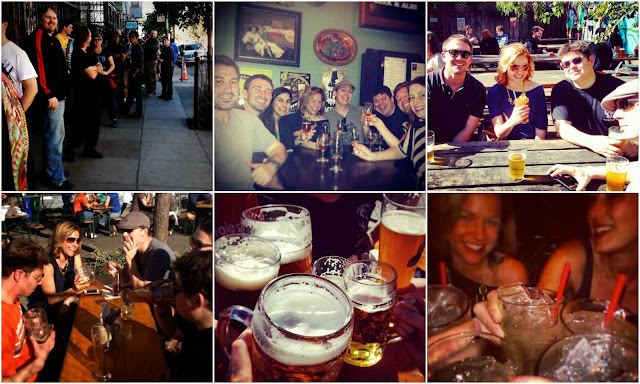 A boot full of beer and a belly full of German pretzels, and #SireSF was officially born. In the seven weeks that followed, I sent out email updates to my friends once a week detailing which things had been checked off, and which things were up next. 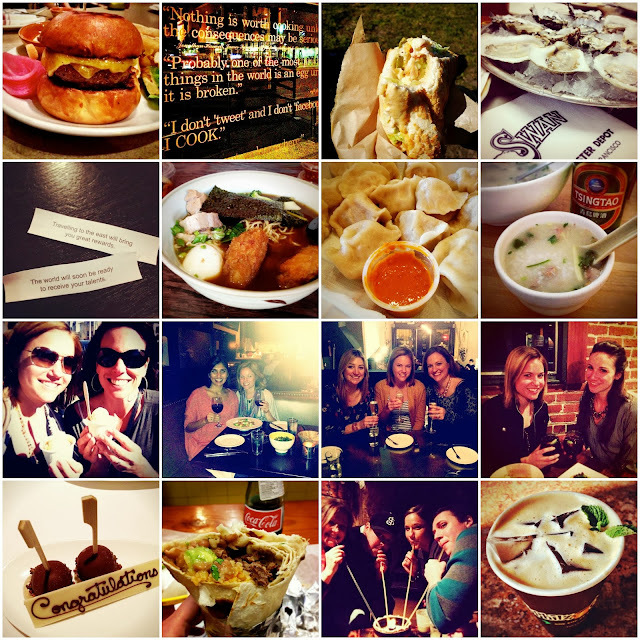 We continually added and subtracted and ended up with a pretty comprehensive SF "to-do list." The following weekend was mixed with more drinking, eating, and some healthy activities mixed in as well. Adam and Devon were the major contenders to help me check as many things off my list as possible. Devon joked that she was in charge of “healthy #SireSF.” That weekend, we went to the Alemany Farmer’s Market… something I had been dying to do for months. We used some of our farmers market finds to make homemade miso soup and also took her dog Calvin to Fort Funston… a gorgeous spot on the beach. Part of #SireSF also happened to fall during Beer Week in San Francisco. After riding the Brew Bus to a couple different locations, the next week I was determined to sample the much-hyped Pliny the Younger from the Russian River Brewing Company (a smoother version of its relative, Pliny the Older). This coveted beer is only offered in SF during beer week, and most places won’t even advertise that they have it. You just have to be in the know somehow. It is precisely the trendy/hipster thing I love and also sometimes despise about San Francisco. I was in. We heard that Toronado in the Haight tapped one keg of the Younger every day when the bar opened. We (and by “we” I mean Adam and Blake) got in line about a half hour before it opened, and there was already a line. Once inside, we loaded up on the Younger, and before we knew it (45 minutes), the keg was already drained. Not wanting to end our already-early day drinking start, we proceeded to make our own bar crawl through the city on a warm February day, soaking up the rare sunny rays wherever we could. We sipped on Bloody’s at Zeitgeist (no photos…oops!) and steins of German beer at the Biergarten. As if we hadn’t had enough booze in our systems already, we hopped a muni to the complete opposite side of the city to take part in Margarita Madness at Underdog’s, which involves $1 margs for one half hour. It is a spectacle to say the least. We eventually stumbled home (others were carried), and another four stops were checked off the list. By now, your liver is probably starting to hurt reading about all of this booze I was consuming. Not to worry, I mixed in some food as well. A lot of it in fact. A burger at NOPA, another at Marlowe, a Sirewich from Ike’s, oysters at Swan Oyster Depot. The Asian food tour included San Tung, Kingdom of Dumpling, Hapa Ramen, Mission Chinese Food and a trip to Namu Gaji, followed by a stop at Bi-Rite. Park Tavern, Bar Crudo, Don Pisto’s, Boulevard, Commonwealth, Incanto, Boxing Room, Lers Ross Thai, Farmer Brown… they all made the list as well. Of course, I couldn't leave without getting a carne asada burrito from the Mission... something I desperately miss on the East Coast. Wash it down with a Mexican Coke, a flaming rum bowl from Smuggler's Cove and an iced mint mojito iced coffee from Philz and it’s no wonder I gained about 8 pounds before everything was said and done (no joke). 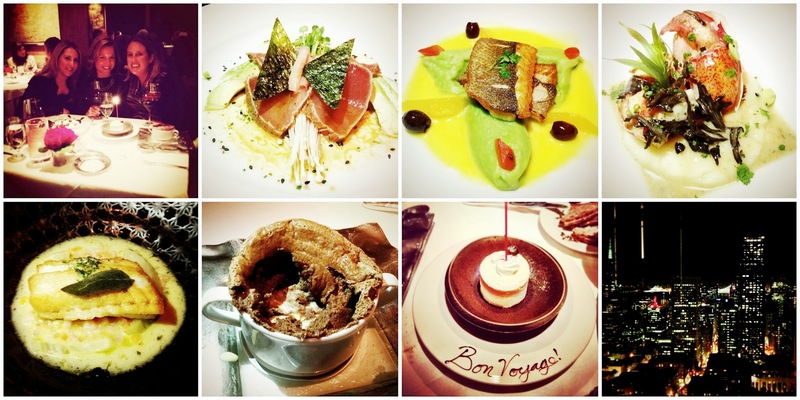 Of course, my SF foodie tour wouldn’t have been complete without a return trip to my favorite restaurant, Gary Danko. Devon and Sophia accompanied me, and once again, everything was outstanding. Steven made sure it was another memorable night with complimentary sparkling to start our meal, a special Bon Voyage dessert to end it, and even comp’d part of our dinner to wish me luck on my East Coast journey. We capped it off with a drink at the Top of the Mark, taking in the sweeping views of the city I so deeply adore. Other amazing stops along the way: a picnic and swing at Hippie Tree, flying down the Seward Street Slides, enjoying Ike’s in Dolores Park, mussel hunting on the beach, walking across the Golden Gate Bridge, driving up Highway 1 to Stinson Beach, taking in the view from Twin Peaks, playing corn hole at Fort Mason, and watching the sunset in Sausalito. 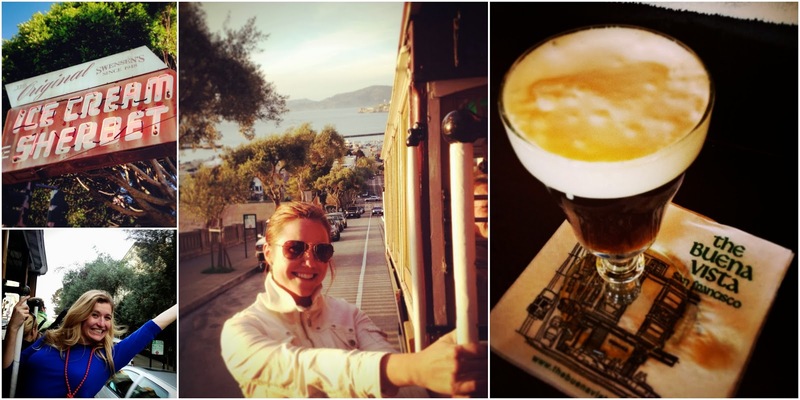 And of course, a San Francisco tour just wouldn’t be complete without a trolley ride with stops at Swenson’s for ice cream and the Buena Vista for Irish coffees! The Tourist Club is one activity that had been on my “list” far before #SireSF was even a thought. 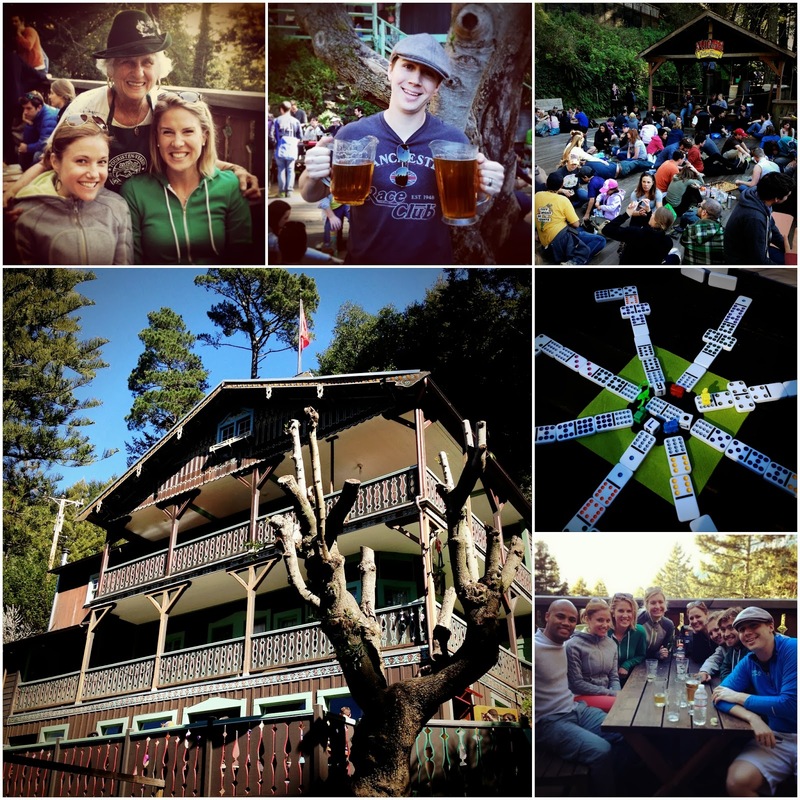 It’s a short drive over the Golden Gate Bridge, followed by a leisurely hike down to a little German oasis in the middle of a forest. The Tourist Club is open select weekends to the public (check the website), and it’s a first-come, first served situation. You can buy all the German beer you want while you set up a picnic and play games. On sunny days, the place gets packed and I can understand why. It feels like another world, and yet you’re just a couple miles from the city. Of course, a good-bye tour of this magnitude required a grand finale. 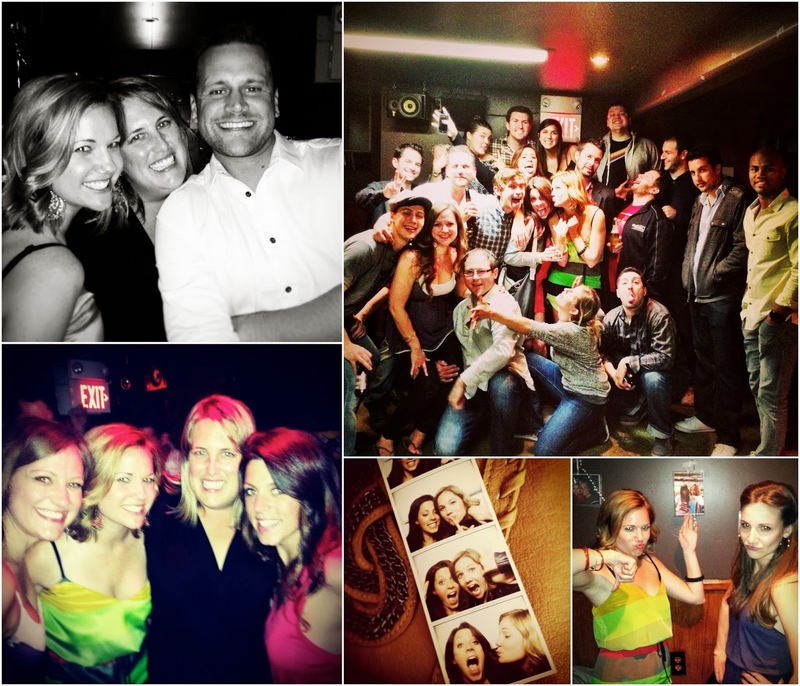 My friends Devon and Rob orchestrated an amazing party in the basement of Columbus Cafe. Rob dominated at DJ, Devon killed it with decorations and snacks, and Kim even made special champagne mini-cupcakes at request of the guest of honor. We partied and danced until they kicked us out. Lots of fernet, tons of laughs, and a few tears as well. As the movers came to pack up my beloved little Pac Heights apartment, I realized the #SireSF tour was coming to the end, and it was time to say goodbye for reals. Before taking off for my red eye (sporting my California Love sweatshirt no less), I ate my last SF burger at Ricky Bobby, squeezing every last drop out of #SireSF. I still miss the west coast terribly, but I'm thoroughly enjoying my new life on the east coast. Thanks to the entire Bay Area for an amazing five years, and to my dearest friends for a sendoff to rival all sendoffs. Italics denote checked-off activities from #SireSF, some for the first time, others not. *Asterisk denotes things I had already done, but wanted to try and do again before I left (but never did). The rest are things we never got to, but ones to do someday on return trips. As someone that loves spending time in SF as often as possible, I am a little jealous you were able to cram all this into 1 epic week! I can not think of a better way to say goodbye to an incredible one of a kind place. I am so anxious to get back to the city by the bay and and try some new places I learned about here! Haha... this was def not one week. It was SEVEN!! Wow, that's a pretty awesome sendoff! I'm going to have save this list to keep handy whenever I'm up in the City... If you ever get a chance some day (and haven't already! ), you should hit up the Outside Lands festival - Obviously for the music, but even more so for all the food! A lot of what you posted and more restaurants come out to it with booths. I'm so hungry just thinking about it! Yes! I've been to that festival many times! So fun.